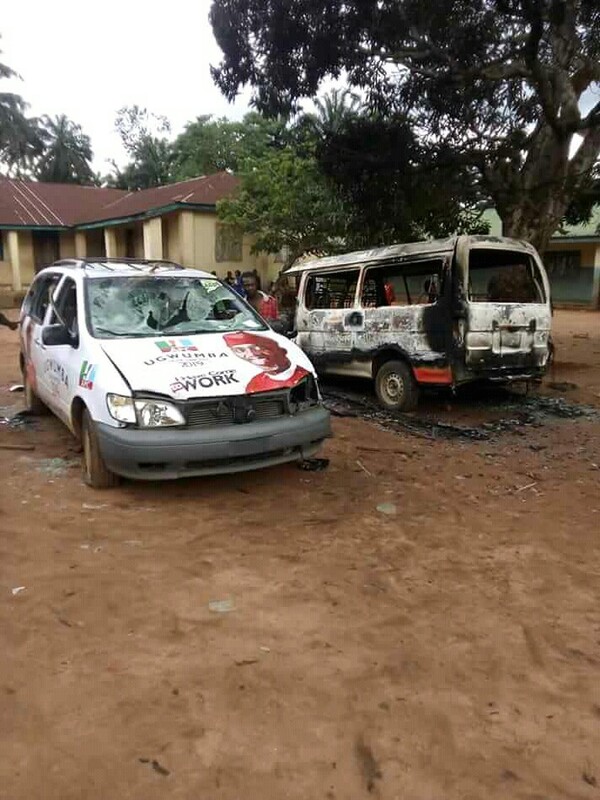 There was pandemonium in Imo after violence broke out during the All Progressives Congress (APC) governorship primary election in the state. It was gathered that trouble started when supporters of governor Rochas Okorocha’s son-in-law and anointed aspirant for Imo 2019 gubernatorial election, Mr. Uche Nwosu and angry youths of Amaike community, clashed after what they labelled as imposition of candidate on them. The angry youths destroyed and burnt down three branded vehicles belonging to Uche Nwosu Campaign Organisation at Amaike Primary School in Mbaitoli local government area of Imo State. Next CARDI B’s Sister Comes For NICKI MINAJ Again… Says She’s A DRUG ADDICT!! !